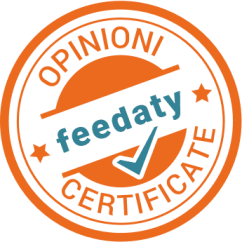 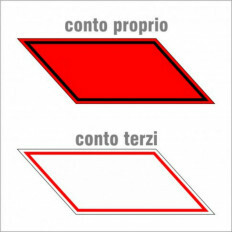 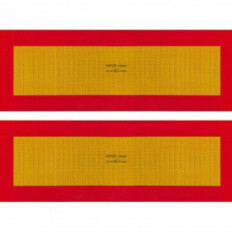 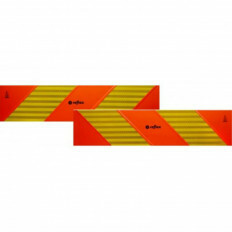 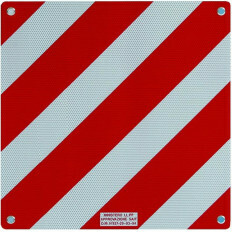 Approved class 2 reflective panel for protruding load, standard size 50cm x 50cm, thickness 1mm.Printed on reflective vinyl with aluminum support.For sale a single red and white stripes panel as in the photo.Easy to applyin a few minutes on any surface. 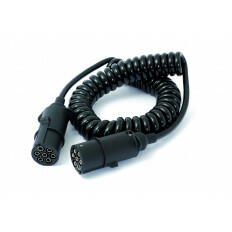 MaterialTPUPlugs with rubber / plastic sleeve, plastic plug fullCable section2 × 4 + 3 × 1.5 mm² Cable diameterØ 13.5 mm Coil diameterØ 40 mm Max. 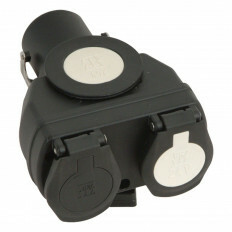 Length extensible3.0 mNormaISO 12098/4091/7638 AS REGARDS ADRConfez.1 pcElectronic braking system for trucks and trailers. 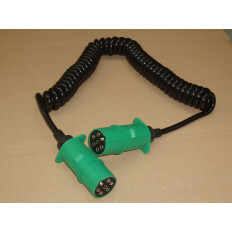 MaterialTPUPlugs without rubber / plastic sleeve, green plastic plug fullCable section6 × 1.0 + 1 × 1.5 mm² Cable diameterØ 13.5 mm Coil diameterØ 40 mm Max. 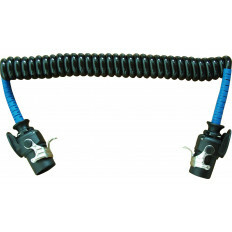 Length extensible3.5 mNormaISO 3731Confez.1 pcNormal and complementary electrical connectors for trucks and trailers. 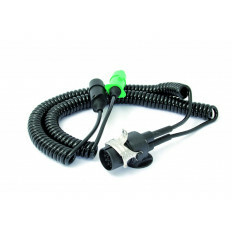 MaterialTPUPlugs without rubber / plastic sleeve, green plastic plug fullCable section6 × 1.0 + 1 × 1.5 mm² Cable diameterØ 13.5 mm Coil diameterØ 40 mm Max. 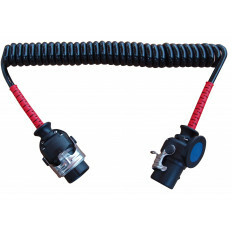 Length extensible3.5 mNormaISO 1185 Confez.1 pcNormal and complementary electrical connectors for trucks and trailers. 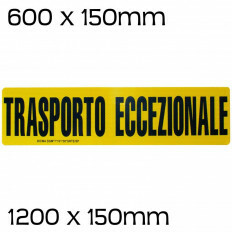 MaterialTPU15 poles 7 poles N and SNormaISO 1185/3731/12098 Confez.1 pcAdapter for tractors and trailers.